We have some good news to share! ClearIAS is now on Telegram! ClearIAS has now started a new channel on Telegram. 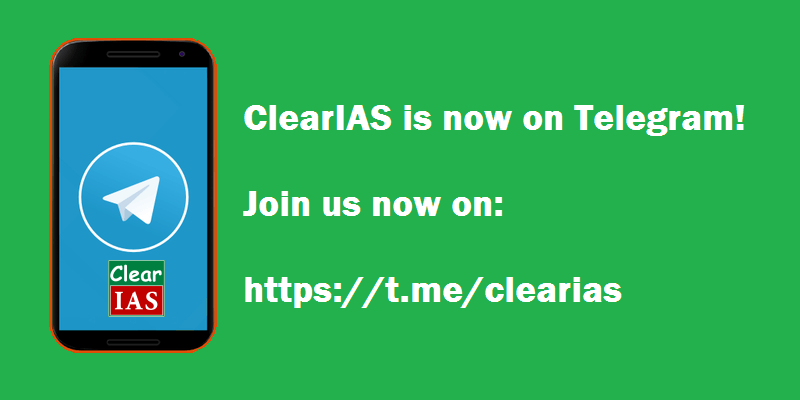 IAS/IPS aspirants can join us now on the ClearIAS Telegram channel (https://t.me/clearias) for free study materials – pdfs, images, videos etc. Telegram is a messaging app – it’s simple and free. You can use Telegram on all your devices – phones, tablets or computers. It can be used as an installed mobile app or a non-installed web app. It has provisions for starting channels – an innovative feature for fast file sharing among large user bases. Follow ClearIAS on our social media channels for free updates! ClearIAS Telegram Channel is our new entry to our official social media handles. You may subscribe to the below social media handles not to miss any updates from ClearIAS.com. 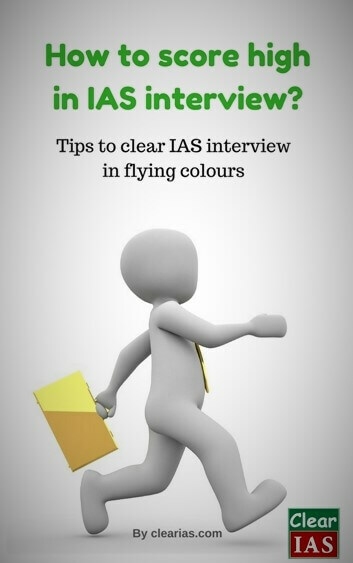 ‘How to score high in IAS interview‘ is an ebook by ClearIAS Team, which provides valuable tips to maximize the UPSC interview marks. The book is uploaded on to the ClearIAS Telegram Channel[ . Those who join the ClearIAS Telegram Channel can now download the same. Is there any other way to download ClearIAS study materials as PDF? Yes. You may check our downloads section.